Many employers require that accounting professionals have their certified public accounting (CPA) licenses, and the main difference between an accountant and a CPA is often training. The job functions within the accounting career field are extensive, and people who have learned specific business skills can fill many corporate accounting positions regardless of their academic backgrounds. However, more employment opportunities are available for accountants who are also CPAs primarily because both government and industry place high value on the verifiable expertise of CPAs. Here are some examples of the differences between CPAs and accountants as they relate to employment opportunities, academic backgrounds, professional experience and continuing education. CPAs are almost exclusively called upon to conduct audits and perform corporate tax preparation, according to American Institute of CPAs. Since these areas of accounting often result in stiff government or industry penalties when problems arise, corporations call on accountants that have been trained and tested in those specific areas. Also, when federal and local government agencies require forensic accounting activities, they call on CPAs to investigate and apply their knowledge of financial reporting principles to help prosecute or defend cases of alleged financial fraud. These accountants’ licenses authorize them to become expert witnesses in support of litigation efforts. Employment opportunities for accountants who are not CPAs are available, but these business professionals often face heavy competition in the job market unless they have specialized accounting skills or credentials to support a niche sector. For example, business professionals who work in the accounting departments of certain government agencies may have a number of years of sector specific experience and certifications that are directly related to their jobs like the Certified Government Financial Manager or the Certified Management Accountant credentials, but many of these accountants are not CPAs. CPAs usually follow a very distinct educational path throughout their professional journey. Each state requires that CPA candidates complete 150 hours of formal, university level accounting and business course work. Aspiring CPAs usually achieve these hours by earning a 120 hour undergraduate degree in accounting or business administration with a concentration in accounting and taking supplemental accounting courses to reach the 150 hour educational requirement. Subsequently, many of them decide to head straight to graduate school to gain those extra hours, and they often pick up advanced degrees like an Accounting Master of Business Administration or a Master of Accountancy. 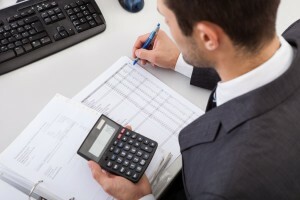 A business professional who performs accounting functions for an organization may or may not have an accounting degree. Many of these accountants have more varied academic backgrounds that could include undergraduate disciplines like business administration, finance, economics, mathematics or even engineering. Some of the positions that these accountants hold are related to managerial accounting functions, and employers often desire them to have advanced degrees in accounting, business, finance, economics or engineering management. Most entry level positions do not require advanced degrees, however. CPAs are required to have a certain amount of supervised professional experience to earn their licenses, and these experience requirements are set by each state. Many employers will hire CPA candidates while they gain this experience, and some top employers will even reimburse their employees for the costs associated with the exam when tests are satisfactorily completed. While accountants who do not have CPAs are encouraged to gain experience early through internships, professional experience is often not required for entry level positions. All business professionals including accountants strive to stay competitive by performing as many continuing education activities as possible. However, it is a requirement for CPAs to gain a number of continuing education units to maintain their licenses. CPA licenses represent professionals who have the latest information regarding theory, principles, reporting standards and ethics in accounting; these sought after experts can only gain this information through continuous professional development. Both accountants and CPAs make significant contributions to corporations and society by helping to ensure that organizational financial transactions are collected, processed and reported in an honest and transparent fashion. However, the commitment to education, willingness to have their knowledge tested and continuous training highlight the main difference between an accountant and a CPA.